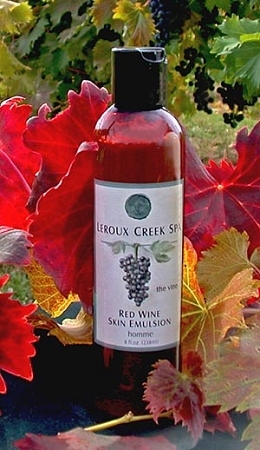 This unique body lotion blends the hydrating and protecting qualities of grape seed oil with our Chambourcin red wine to leave skin hydrated, protected and rejuvenated. The antioxidant power of grape seed oil fights free radicals, fortifies and conditions even the driest skin. Use once daily, or more often to lock in moisture in areas where dry skin needs extra attention. Ingredients: Distilled Water, Red Wine, Grape Seed Oil, Jojoba Oil, Vegetable Emulsifying Wax, Vegetable Glycerin, Vegetable Glycerol Monsterate, Potassium Sorbate from Corn, Vit. E (T-50), Essential Oils.